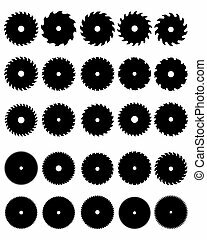 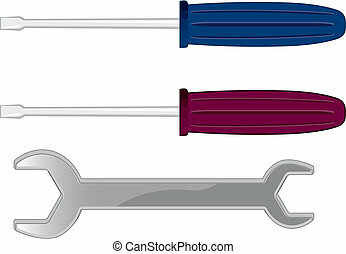 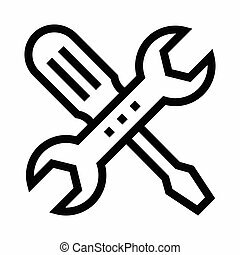 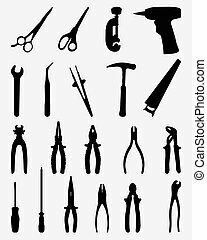 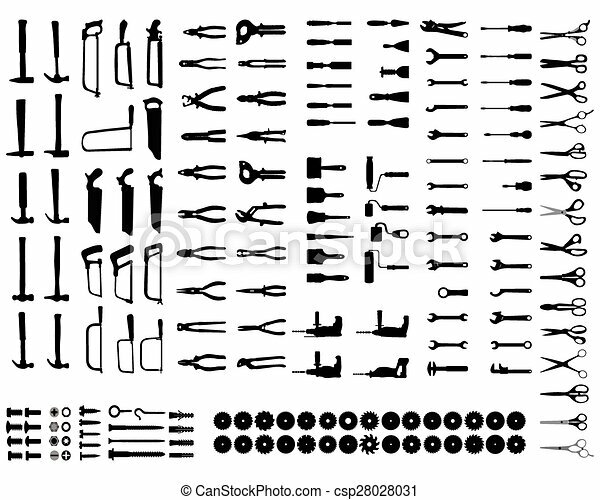 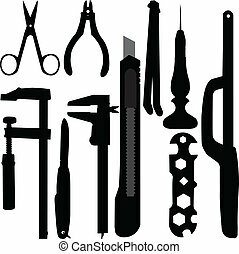 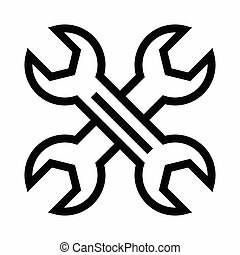 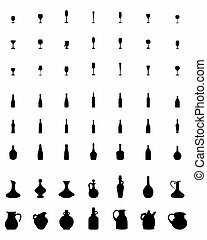 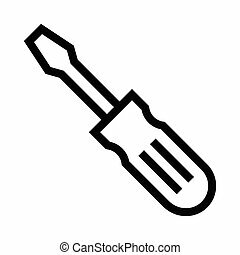 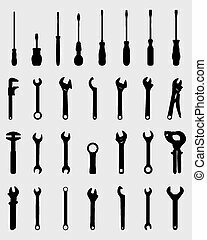 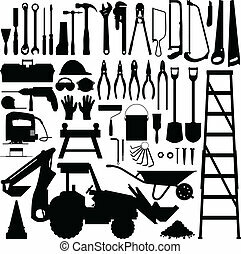 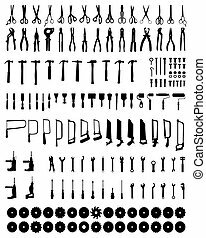 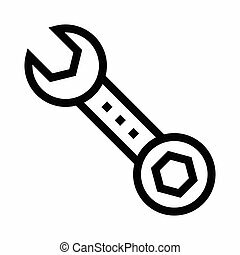 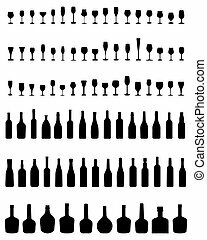 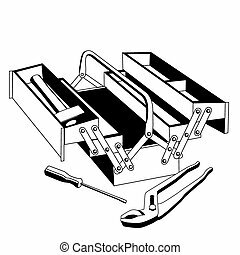 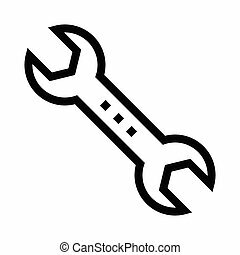 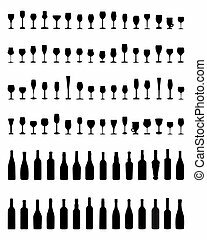 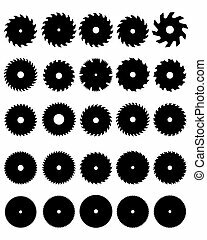 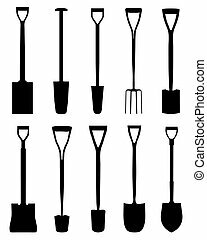 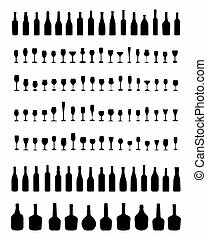 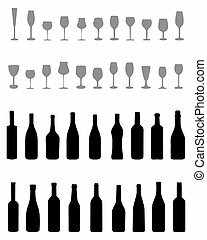 Set of black silhouettes of tools, vector. 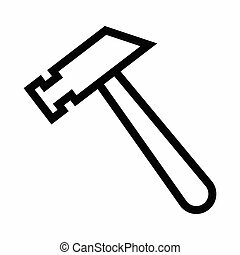 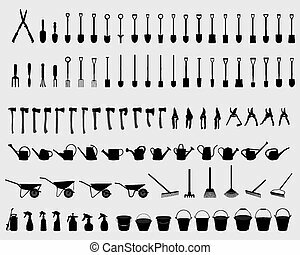 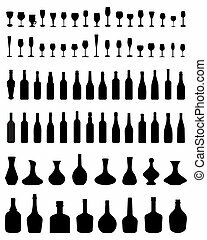 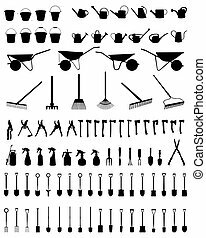 Collection of 121 tools doodled icons (vignette) on black background, in black-and-white. 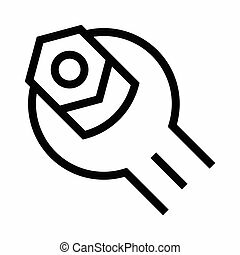 Individual illustrations are isolated and in eps8 vector mode. 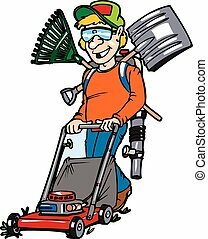 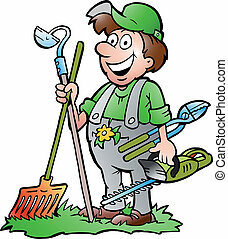 A male individual mowing a lawn with the tools of a landscape specialist ready to service your property.